Maaco, the nation's leader in auto paint and repair, was in need of an overhaul. They came to us to give a fresh face to their brand. We came back to them with the idea of #MAACOVER - a top to bottom rebrand from coupons to national TV. Taking your car in to get an estimate is a pain. 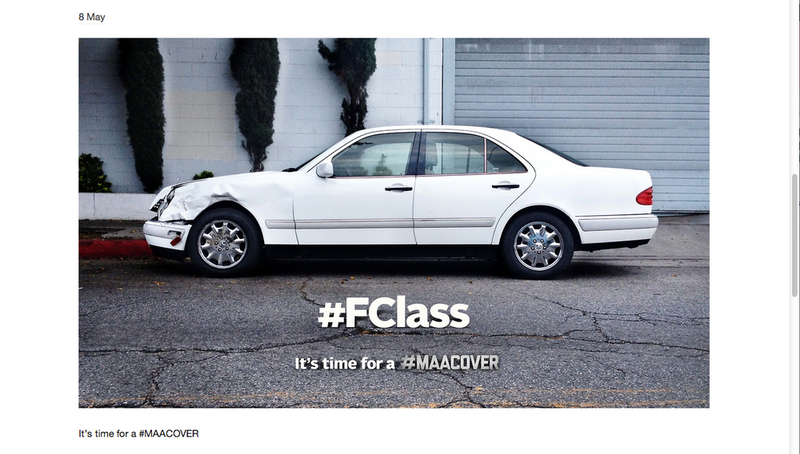 So why not use social media to snap a picture of your car, tweet it to Maaco and receive a free estimate tweeted back to you. While this might have been a little too lofty fora an auto body shop, it was still a blast to shoot in Austin, Texas with our director. We remade all the social media sites and gave them a #MAACOVER. We also overhauled the maaco.com site. It was pretty fun to give the brand a whole new look.